“Never Fade”, a brand new song from ALICE IN CHAINS, can be streamed below. The track is taken from the band’s upcoming album, “Rainier Fog”, which will be released on August 24. “Rainier Fog” marks a few firsts for ALICE IN CHAINS: in addition to being their first album in five years, it’s their first album for BMG and their first time recording in their hometown of Seattle in more than 20 years (worth noting that the album title is a tribute to Seattle). They recorded at Studio X, the same facility where they tracked 1995’s self-titled “Alice In Chains” album (back when the studio was known as Bad Animals). The “Rainier Fog” recording process also saw the band spend time at Henson Recording Studios in Los Angeles and at the Nashville studio of producer Nick Raskulinecz. 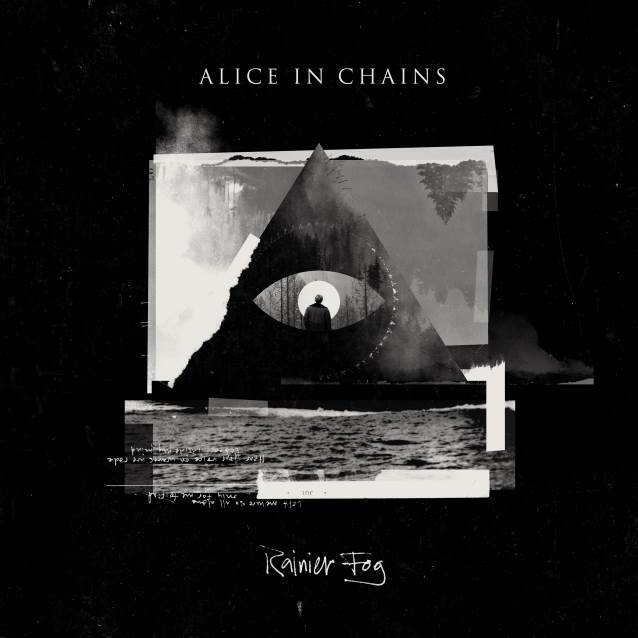 “Rainier Fog” is the third straight ALICE IN CHAINS album recorded with Raskulinecz and engineer Paul Figueroa. The album was mixed by Joe Barresi (QUEENS OF THE STONE AGE, TOOL). “The Devil Put Dinosaurs Here” was the band’s second disc with singer William Duvall, who joined in 2006 following the death of Layne Staley. “The Devil Put Dinosaurs Here” sold 62,000 copies in its first week of release. It followed up 2009’s “Black Gives Way To Blue”. The first two singles from “The Devil Put Dinosaurs Here”, “Hollow” and “Stone”, both hit No. 1 on the rock radio airplay charts, while the album itself debuted on the Billboard album chart at No. 2.